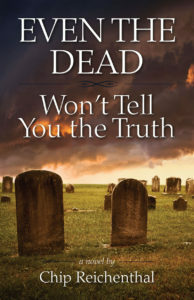 Chip Reichenthal has been fascinated by afterlife sciences, metaphysics, and paranormal realms for several years, following an encounter with his best friend—at the moment of the friend’s death. Although this is a fictional work, it is rooted in truths and personal experiences as well as an intimate knowledge and background in metaphysical practice and paranormal investigation. Some opinions offered are more for consistency with story line, and in any sense, not meant to offend or detract people from their personal beliefs. Chip hosts online radio shows in further examination and study of these realms.